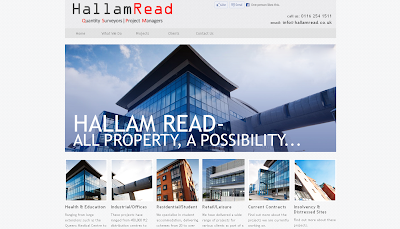 Hallam Read are Quantity Surveyors that also manage the projects they work on. With significant experience in development and construction, both directly and for clients, Hallam Read can relate wholly to construction contractors, developers, land owners, PLCs, individual property owners, banks and lawyers, co-ordinating the challenging requirements of all parties effectively. Hallam Read wanted to improve on their existing website and represent themselves more professionally to possible developers and private investors. If you have an existing website, Toolkit Websites can look to this for inspiration. Whether you want an existing site updated, or something completely different, we can cater to your re-design needs. This was the case for Hallam Read; we took all the personality and reputation encapsulated by the old design and simply updated it and made it more modern-looking. It was also requested that we do the same with the logo to create a complimentary and harmonious experience for web page viewers. Toolkit Websites will also work with you even further down the line if you ever feel like changing with the times and re-designing your website again, and as we all know, the digital world is constantly changing. Keeping up-to-date will also help your search-engine listings. Another noteworthy feature of this website are the attractive In-page galleries which further modernise the design of this website. These make it possible for clients to view featured properties from all angles with ease while scrolling through the pictures to view close up details. Read more about why re-designing and updating your website is so important when it comes to your business, in our blog. YouTube celebrated its eighth birthday this week and announced the incredible fact that 100 hours of content is uploaded to the video sharing site every minute. Along with one billion visitors a month, which is pretty much half of all web users, the site is undoubtedly one of the biggest and most powerful on the planet. One of the charms of YouTube is its huge variety. If you want to educate yourself on everything from philosophy to how to change a plug, you’ll almost certainly find a video to help you out. If you want to watch cats falling over, you can do that too. It also contains a great deal of nasty, illegal and plain rubbish content, but the site does its best to take down what it can, and it remains one of the safest sites online, another of its attractions. However, don’t forget that YouTube is now part of the Google empire and, like all huge sites, it will probably have to pay its way one day in the not too distant future. Imagine the hosting costs for storing all those cute kids and ranting conspiracy theorists. Paid for subscriptions to channels look likely to be on the cards shortly. So fast moving is the social media world, and YouTube with its Google integration is now certainly part of that world, that these records are almost certainly out of date by now. But, here are YouTube current greatest hits. When the list was first compiled in August 2007, the number one was a comedy video with 56 million views. That’s an extraordinary reach and while the list confirms that the once DIY spirit of YouTube has now been somewhat undermined by the arrival of big, powerful media brands, hundreds of millions of people are still watching a couple of kids because they make them laugh. If you’re serious about getting attention for yourself and your business, then YouTube really ought to be part of your mix. For one thing it’s free hosting of a short film, and the costs of making good quality moving pictures is coming down all the time. One of the first lessons of social marketing experts though is to beware of diluting or confusing your message by chopping and changing your appearances across different channels. Toolkit are social media experts. We can get you set up on all the main platforms with great looking, easy-to-use profiles, pages and groups. We’ll help you get started on YouTube too, even uploading your first videos for you and teaching you how to feature them on your own site. An integrated message is vital in social media marketing and Toolkit are here to help. Just call our team on 02380 633 644 or visit www.toolkitwebsites.co.uk to start the cameras rolling. Bacardi Martini Ltd is a privately held and family owned spirit brand that is recognised internationally. They sell more than 200 brands and labels in nearly 100 countries world-wide. 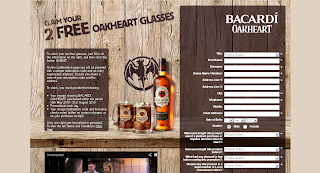 This website was specifically made for Bacardi Ireland and features the product, 'Bacardi Oakheart.' Though simply laid out, the unique taste and history of the product is reflected in the atmospheric wooden background and the branded effect of the logo and title. 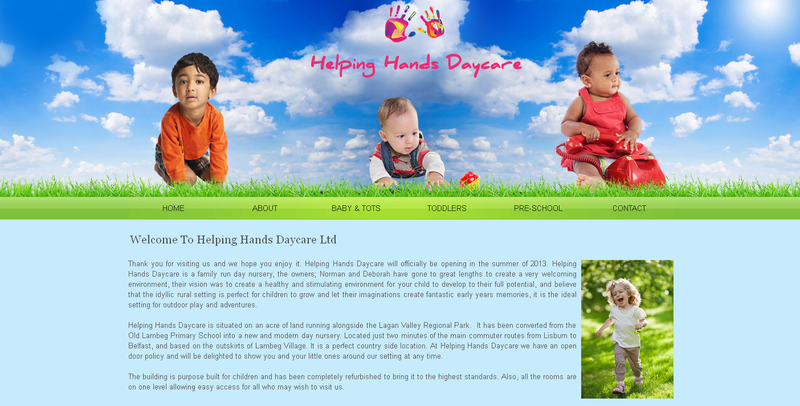 The client had a very clear idea in mind for this site which we worked very hard to bring to life. They were looking for a way to optimise customer feedback, so, we suggested using a clearly laid out Bespoke Form and a simple yet pleasing layout to appeal to users. The Integrated YouTube Video also brings media to the viewer, making this page a straightforward and effortless experience for any potential customer. Focus on the product itself was also key in the design brief and as you can see it remains the most vivid element on the page, a visual focal point, and positioned centrally. "I just wanted to say thank you for the support and advice you have given us. You have done an amazing job at getting the website up and running on a tight schedule." This website is a great example of our emphasis on page loading speeds as it reached a Toolkit Websites record breaking 98% on Googles loading speed test. 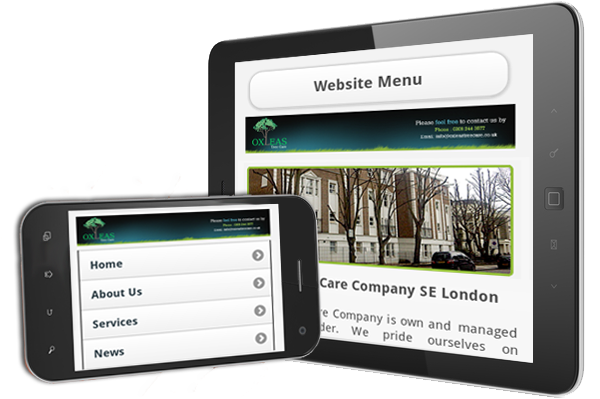 UES London wanted the website to be professional and modern. The colours and layout are bold and simple giving a professional feel. A key feature on the site is the UES logo. As part of the websites build we designed their logo from scratch and then used this to build the website around. 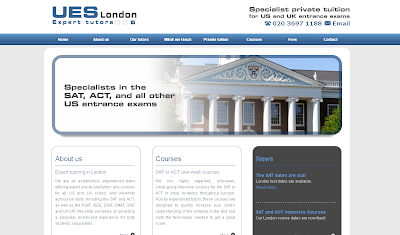 UES London are an established, experienced team offering expert one-to-one tuition and courses for all US and UK school and university admission tests. "The speed with which updates are made, and exactly as I want them"